OTOE, Okla. – A 4.2 magnitude earthquake shook northeast Oklahoma on Monday night. 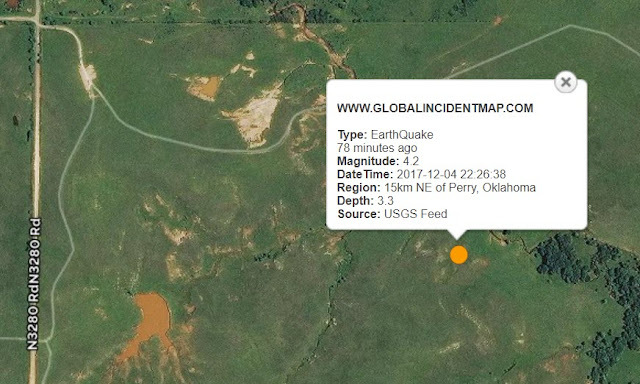 The earthquake rattled just before 10:30 p.m. in Otoe, near Stillwater. Some said they also felt it in Tulsa. 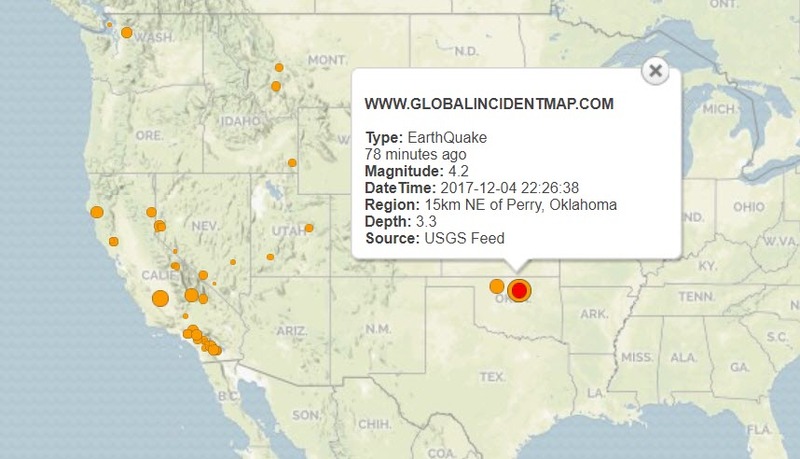 A second, 2.8 magnitude, was reported shortly after in the same area. 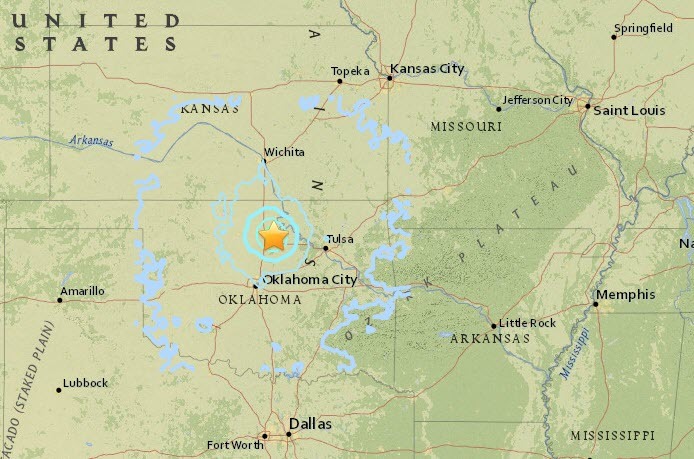 The state had another two quakes earlier Monday. 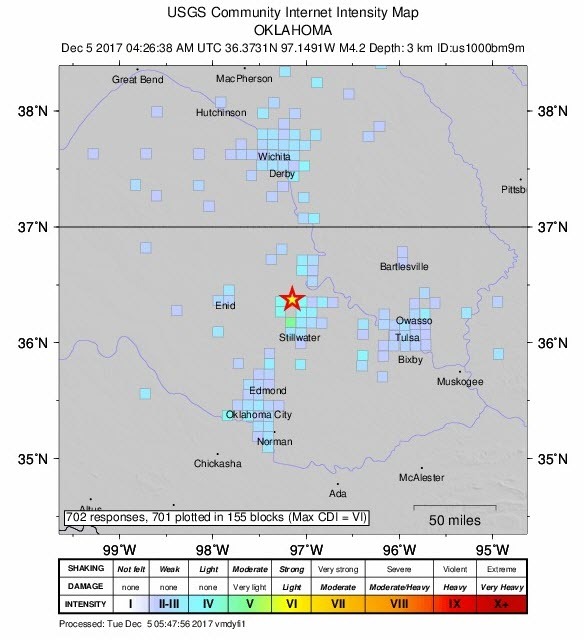 The first was a 2.9 overnight in Horntown, near McAlester. The other was a 2.8 during the evening in Carmen, near Enid.